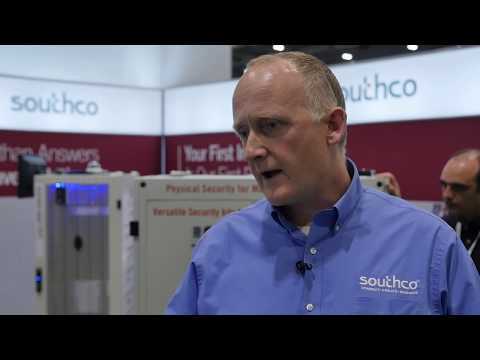 Simon Williamson, Business Development Manager, Electronic Access Solutions, Southco, Inc. 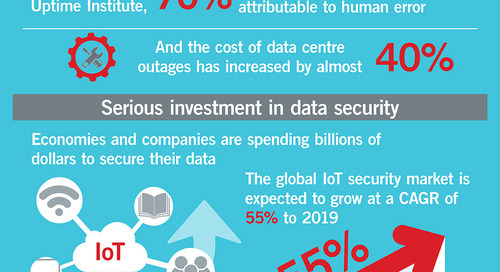 In today’s digital world, data is fast becoming the new global currency. However, as data volumes continue to grow at an exponential rate, the issue of data security continues to cause concern within industry. While there is widespread awareness of the many digital attacks that compromise data on a daily basis, less is said about the physical threats to information held in data centers. The important role that data centers play in modern society is illustrated by how many are currently being built in every corner of the globe. 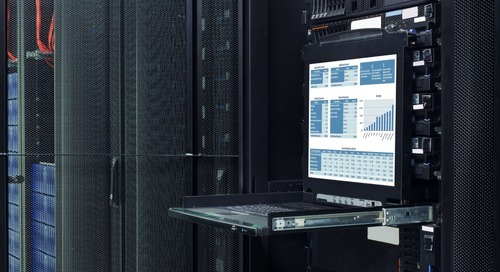 It is expected that the global data center infrastructure management market will grow at a CAGR rate of 14.68 percent between now and 2020, brought about by the huge increase in data volumes, which need to be captured, collated and stored in a data center. For an enterprise to build its own dedicated data center requires a lot of resource, space, and money. As a result, many businesses are hosting applications and storing data in collocated data centers, which have shared access. In this instance, physical security becomes more important than ever, as businesses work to keep their business critical data safe in the event of accidental breaches. Although there are extensive measures in place to secure the perimeter of a collocated data center, often the biggest threat to security can come from within. 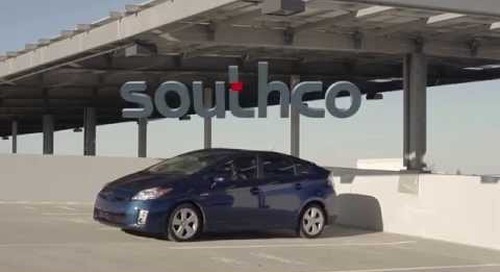 It is not uncommon for people entering these facilities to cause accidental security breaches. In fact, IBM Research Data states that 45 percent of breaches occur as a result of unauthorized access, with data breaches costing the global industry over $400 billion annually. 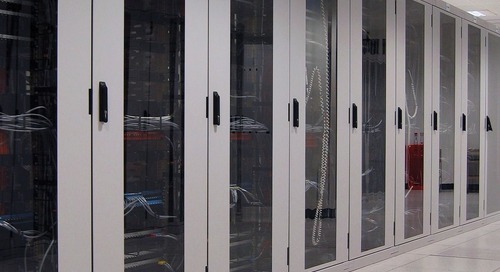 For colocation providers hosting data for multiple clients, each server should be secured at cabinet level with access only granted to authorized personnel. 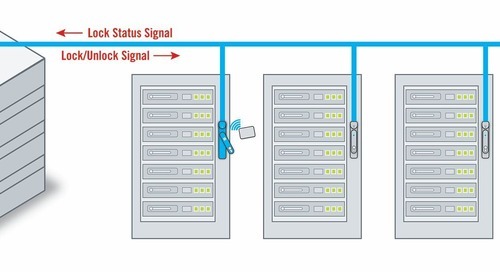 There are typically two ways of securing a server with either a traditional mechanical lock-and-key system solution or a combination of locks and key codes. Although these mechanisms provide cost effective means of safeguarding the rack, they have limitations. For example, they do not have the capability to track and monitor access, and nor do they provide physical protection of the data. 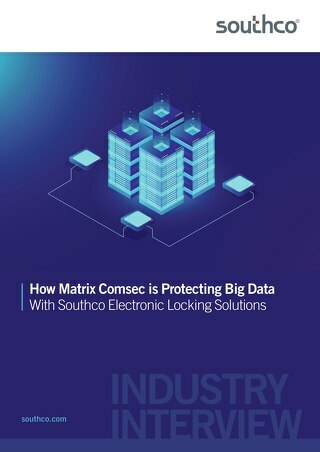 Southco has developed electronic access based solutions to not only provide a comprehensive locking facility but by embedding these solutions with monitoring and tracking capabilities, they also help to alleviate unauthorized access and concerns surrounding data security. 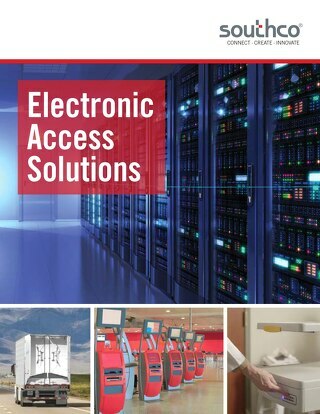 These electronic access solutions generate digital signatures used for controlling and monitoring access time and tracking for audit trail purposes, helping to meet growing data security compliance standards including PCI DSS, HIPAA, FISMA, European Data Protection and Sarbanes-Oxley. 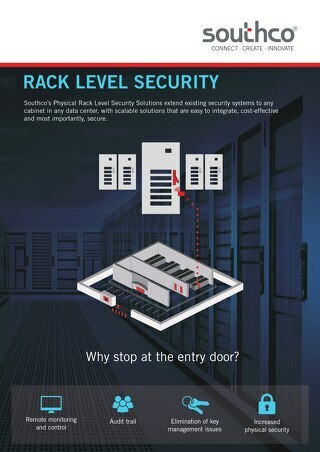 Southco’s H3-EM Electronic Locking Swinghandle for example, has been developed as a security method that can be integrated into new and existing secure server racking facilities. 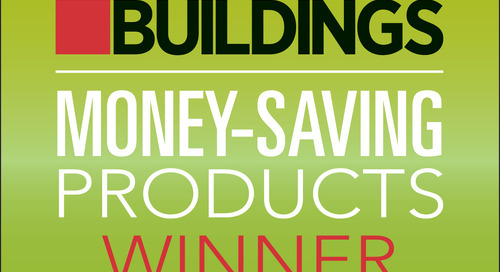 It can use existing lock panel cut-outs, eliminating the need for drilling and cutting. 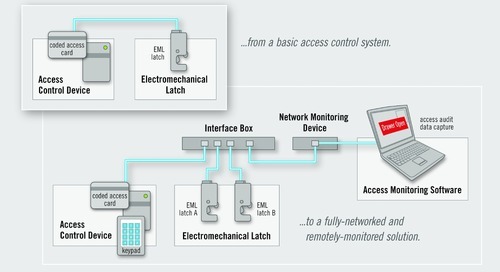 This allows for standardization of locks within the data center.  The device also helps to solve the issue of rack security through the integration of traditional and contemporary access control, giving the racks maximum protection. 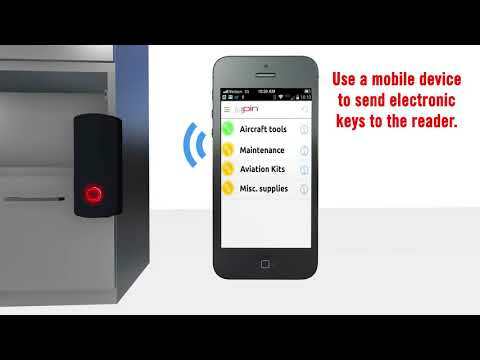 Physical access can be obtained using an RFID Card, PIN Code combination, Bluetooth, Near Field Communication (NFC) or biometric identifications. 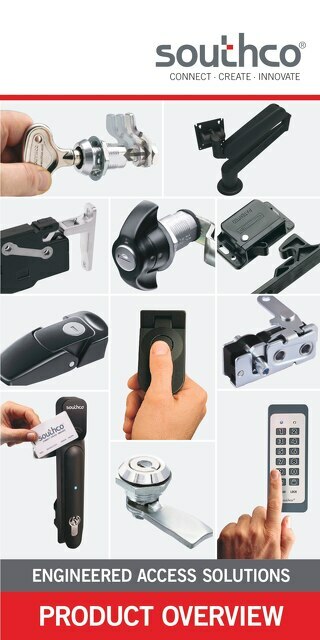 Furthermore, the addition of a manual override key lock allows emergency access to the server cabinet and surrounding area. Even in the event that security needs to be overridden, an electronic access solution can still track the audit trail, monitoring time and rack activity. Products such as this have been designed to lead protection efforts against physical security breaches in data centers all over the world. As data center threats continue to increase, solutions like these will become even more in demand, as business owners continue to protect their business critical data from growing physical threats. Therefore security systems need to become more intelligent and integrated in order to afford business owners peace of mind over the protection of their data. 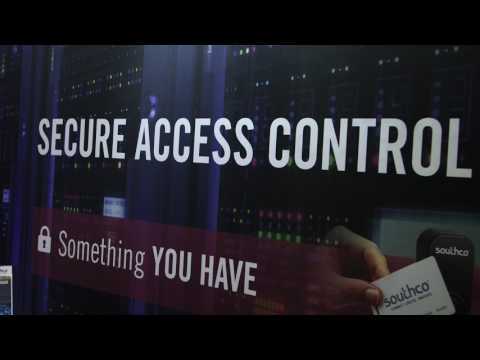 The industry has a growing need for access solutions which combine protection and monitoring functionality with intuitive installation, and Southco is helping to provide this reassurance.